Aussagen zur Herkunft dieser externen Objekte trifft der Bericht nicht – mit anderen Worten: Der Bericht sagt nicht aus, dass die Maschine abgeschossen wurde, legt das aber durch die Wortwahl nahe. Unklar bleibt aber weiterhin, welche Art von Geschoss das Flugzeug traf, ebenso natürlich, wo es herkam. Flight MH17 with a Boeing 777-200 operated by Malaysia Airlines broke up in the air probably as the result of structural damage caused by a large number of high-energy objects that penetrated the aircraft from outside. 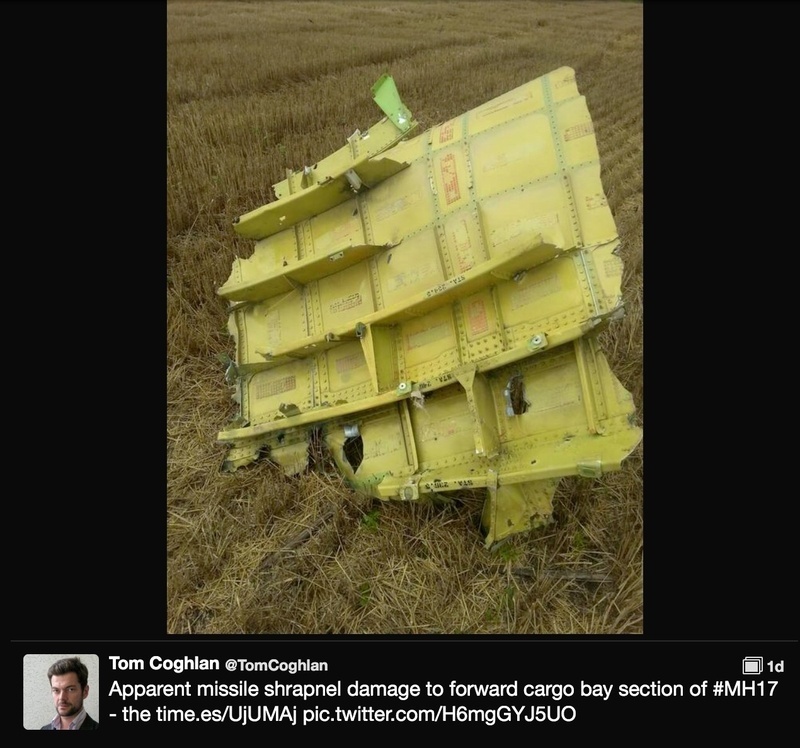 (…) There are no indications that the MH17 crash was caused by a technical fault or by actions of the crew. 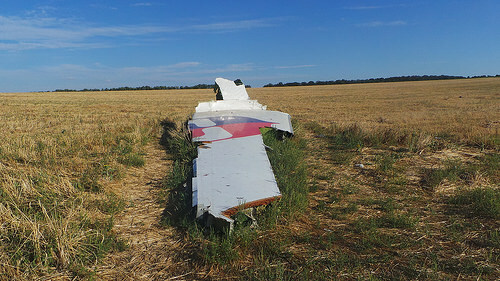 As yet it has not been possible to conduct a detailed study of the wreckage. However, the available images show that the pieces of wreckage were pierced in numerous places. The pattern of damage to the aircraft fuselage and the cockpit is consistent with that which may be expected from a large number of high-energy objects that penetrated the aircraft from outside. It’s likely that this damage resulted in a loss of structural integrity of the aircraft, leading to an in-flight break up. Der gesamte Bericht zum Herunterladen hier.